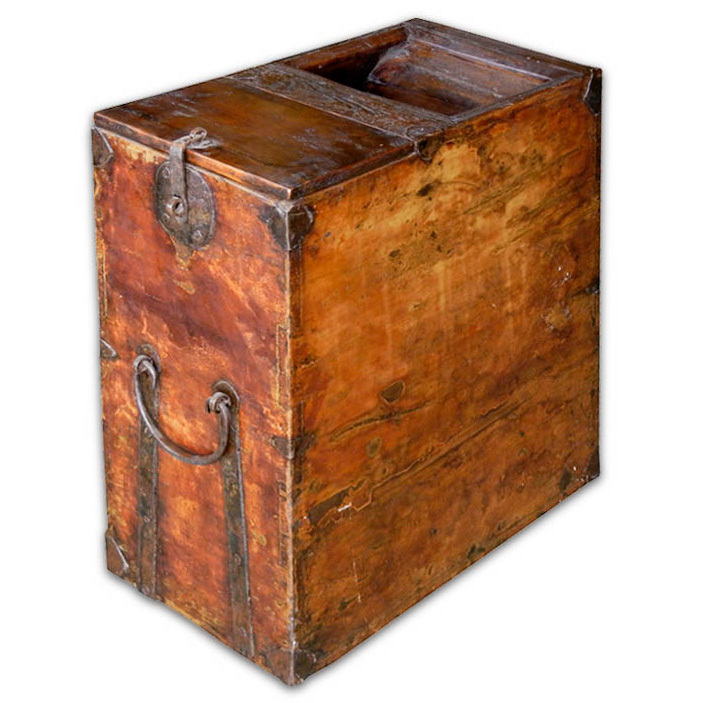 This beautiful and rare Chinese antique narrow and taller carrying style storage chest has old iron fitting and carrying handles. The top is fitted with a slat and has a lockable iron latch. 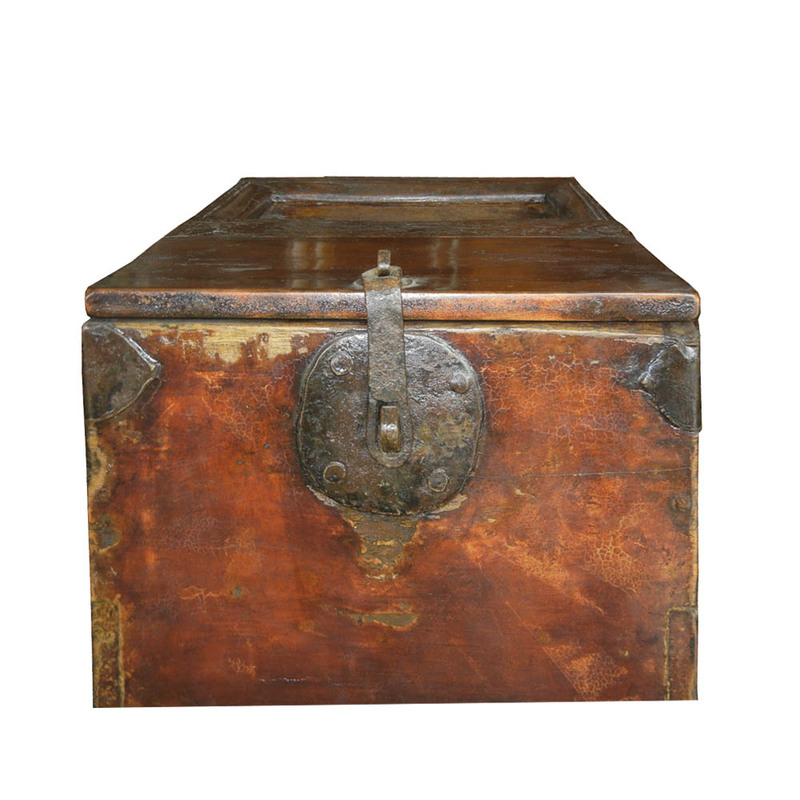 The unusual configuaration and proportion of this chest and its special ironwork give this chest a unique flavor like that of a Japanese tansu chest. Traces of old lacquer on this Yu wood chest can be seen on the sides. Some replacement in wood. Matte French Polish finish over the original finish and patina.